Ever wonder what The Beatles would sound like if they were a Jazz trio? 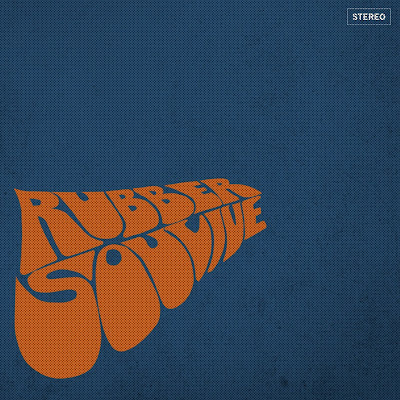 Well Soulive has brought us this concept on their new album entitled Rubber Soulive, which is a jazz funk tribute to the Fab Four. The album is ripe with covers ranging from every portion of The Beatles six year repertoire. Soulive doesn’t just decide to do the psychedelic covers; they interestingly choose covers that can demonstrate at the same time, the genius of The Beatles compositions and the absolutely phenomenal lyrical jazz guitar style of Eric Krasno. The album begins with “Drive My Car” off the album Rubber Soul. This is an interesting choice for cover, it being the opening tune off of Rubber Soul. Immediately you feel the classic “cool” styling of Soullive. Neal Evans (Keys) lays down some great rhythm chords that allow Krasno to explore the lyrics of the tune via his guitar. As Krasno finishes the choral sections of the tunes, he really lets lose. He begins to jazz out the song, playing extremely tasteful lyrical lines that explore the chords of “Drive My Car”. Already, I am intrigued. The band is bringing an interesting slice of music to us, and already I am ready to try another piece of the pie. Bring on the next tune. The next chosen cover is “Taxman”, the opening song off Revolver. Alan Evans (Drums) slows the tempo down giving a driving heavy drum line with emphasis on the downbeats of each measure making a rich dance groove. Alan provides a beautiful soundscape as Krasno just rips apart his guitar. He takes Taxman to a whole new level really exploring his technique between the Taxman chords. Neal lays down a nice little solo that is funky and full of soul. 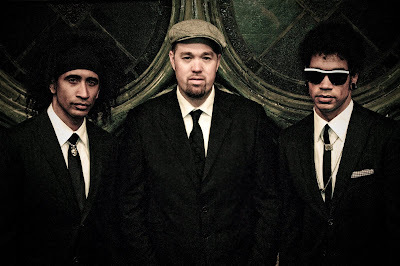 Soulive provides some soul for “Taxman” as well as some funk, and interesting take on a very serious tune. “In My Life”, is the next tune which is originally off Rubber Soul. This song is the perfect demonstration for Krasno’s lyrical abilities on the guitar. As Alan lays down the simple Ringo Starr drum lines and Neal provides small soundscapes, Krasno is able to truly sing the song on his guitar. You can hear the words in your head as Krasno provides a beautiful homage to one of my favorite Lennon songs. “Elenor Rigby” is the next tune. 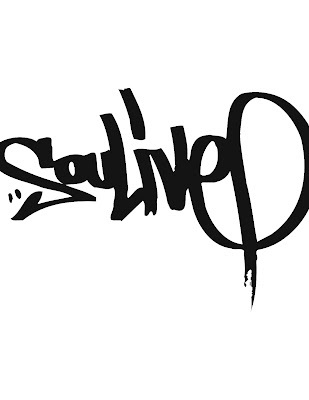 A beautiful mysterious song off of Revolver, Soulive is able to replicate the mysterious feeling of this song with a very down tempo beginning. As the song continues the tempo picks up as Alan creates a nice beat that drives the song. Krasno explores the jazz chords as well as the lyrics, this jam progresses like the tune itself. Soulive provides the correct levels of peak as in the original tune, and you can feel the uneasy mysteriousness of the tune that made this song one of Paul McCartney’s most puzzling and celebrated compositions. “I Want You (She’s So Heavy)” is the next tune, which is off Abbey Road. The original tune, is an instrumental, for the most part. Soulive sticks pretty closely to the original arrangement, singing the lyrics (the only vocals on the album) and perfectly playing the transitions. The song is a bit jazzier than the original but for the most part, it doesn’t sound much different from the original besides the organ part and the extended jazzy guitar solos provided by Krasno. “Come Together”, which is opening tune off Abbey Road is the next song. The beginning of the tune is extremely funky. Alan lays down the simple Ringo lines which provide a good background with the organ for Krasno to sing the lyrics with his guitar. The breakdowns with the organ are tasteful and bring the tune to a new level. Krasno then improvises off the chords and explores the space provided by the drums and organ. It is surprising what Krasno is able to do, jazz wise, on this composition. It’s quite mind-blowing. This tune is definitely one of my favorite covers on the album. The final organ solo brings the tune home and leaves you wanting more. The next tune is “Something” off of again, Abbey Road. This song is another great tune to express Krasno’s lyrical abilities. As he sings the lyrics to this beautiful song, Alan lays down some subtle jazzy fills to Ringo Starr’s original lines. The organ sings sweetly behind the guitar as Krasno truly reveals the beauty of the composition. The song demonstrates the ability of a Beatles tune to be just as beautiful instrumentally as with lyrics. “Revolution 1” is the next tune, which is a funky version of the slow version of the original single “Revolution”, off of The White Album. The slow fluid rhythm of this song allows for a funky feel and creates a danceable version of this tune. As the band explores the jazz side of this song by improvising through the chords, it is easily recognizable that this tune is one of the better adapted to a jazz style. I really enjoyed their take on this tune, both innovative and fun! “Help!” is the next tune, the opening song off the album HELP! At this point Soulive begins to explore the earlier Beatles tunes. This jazzy version of “Help!” is very tasteful and Krasno drives the tune with his stylish lines. The song makes you want to get up and dance as Alan adds a little jump to his fills. Neal’s organ solo takes the jam to the next level, as he explores the lyrical side of his playing adding a very soulful feeling to the jam, eventually letting Krasno take it home. “Day Tripper” is the next song, and this is another single by the Beatles and one of everyone’s favorite early tunes. Krasno lays down the bass line on his guitar as Alan leads in, you feel that Krasno is taking the rhythm on this one, allowing the Neal to really shine. As the organist sings the lyrics in an extremely soulful manner, he pushes the tune to another level by slowing down the tempo and bringing a funky feel to this Beatles classic, very tasteful. The final song of the album is “While My Guitar Gently Weeps”, which is originally off The White Album. This song is slowed down as Alan gives some real tasteful fills for the Ringo lines. Neal and Krasno trade off solos very well in this tune, each solo acting as the lyrics for the tune. The use of improvisation between the lyrical sections as well as using the lyrical sections as a call and response mechanism allows this song to leave a lasting impression of a unique style in your mind before the album is over. All in all I really enjoyed this album. Being a big fan of The Beatles as well as Jazz, this album fits my niche. However what I truly find amazing here is how this tribute allows us to see the genius behind The Beatles compositions. Not only are these songs the forefront of what some consider the true beginning of popular music, but they provide a view behind what exactly the compositions mean. 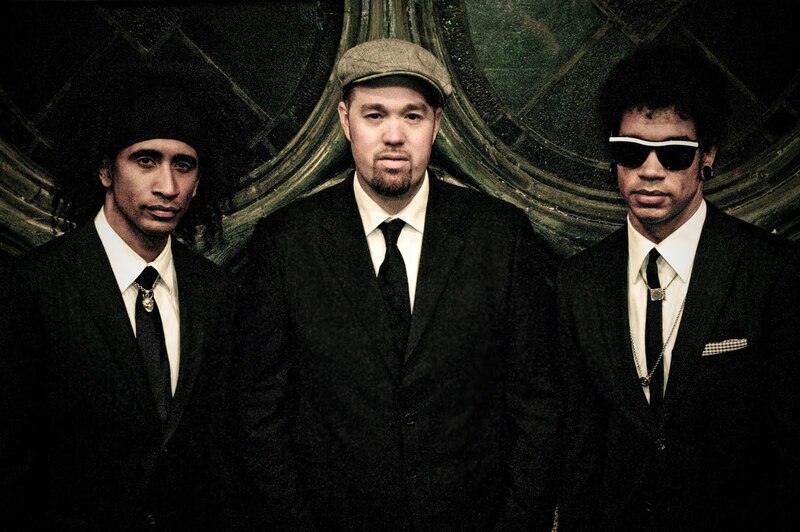 Soulive was able to arrange these pieces from popular experimental rock to loosely based jazz-funk jams. This, in my opinion, is incredible as it allows us to see the compositions more for what they are worth at the core, the genius behind what these compositions meant at a time where music was not as elaborate as today. Soulive reaches a level with this album that blows me away, and I hope it does the same for you. Rubber Soulive is available this Tuesday September 14th. ...And you're commenting on the spacing of the logo? Man, get a grip!